Mech Warfare is quickly approaching and the entrants are finalizing their bots before game day. 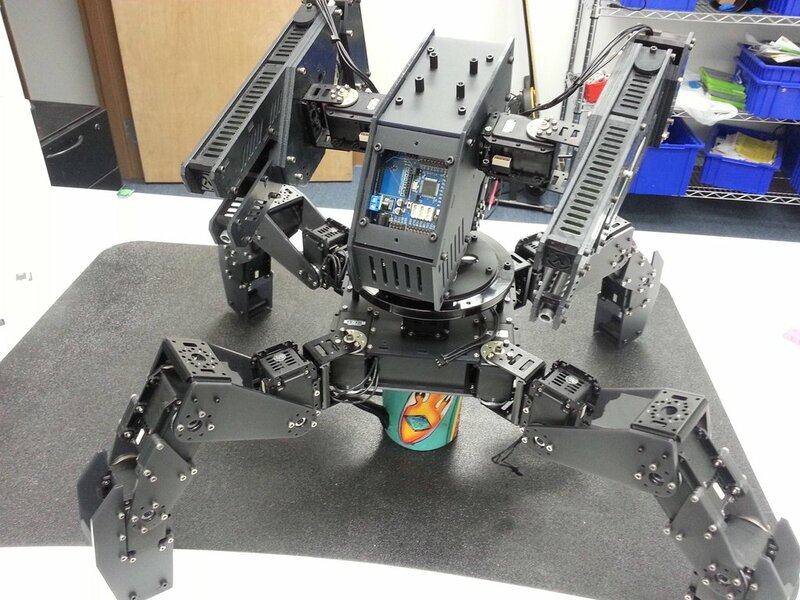 Our own Andrew Alter is turning up the heat this year with his newest Quadruped, Envy! Envy uses 16 MX-64T and 2 MX-28T DYNAMIXEL robot actuators to produce its silky smooth movement. Envy’s body is based on Ryan Lowerr’s QKQ1 design, an Open Source Quadruped. The head and guns are modified version’s of Andrew’s own Insanity Wolf mech. Leave a comment if you’d like to see your Mech Warfare entry up on the blog! Robotis wowed the robotics community with the MX-28T, and recently they’ve expanded the MX line to include the TTL MX-64T and the MX-106T, as well as the RS-485 variants, the MX-28R, the MX-64R and the MX-106R. 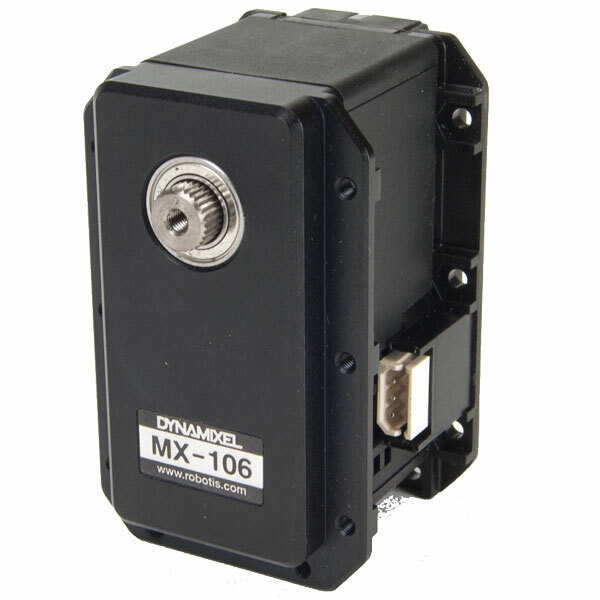 These new servos have a contactless magnetic encoder, which offers 4x the resolution of the RX series. This makes them more accurate and even smoother than the old servos. Also upgraded, is the processor in each of these servos – a 32bit 72mhz Cortex M3! This beefy processor handles the newly implemented PID control algorithm. It can be used to maintain shaft position and can be adjusted individually for each servo, allowing you to control the speed and strength of the motor’s response. The new setup also offerers a 3Mbps bus. The ‘T’ variants use TTL communication and are compatible with other TTL servos like the AX-12 and the AX-18. Meanwhile the ‘R’ variants use RS-485, just like the RX series. You might remember Don and Jason’s new robotic arm, which uses the new MX servos. But the real question is, what will you do with them?